I'm sorry I do not have a recipe to post as my mishaps in the kitchen continue. 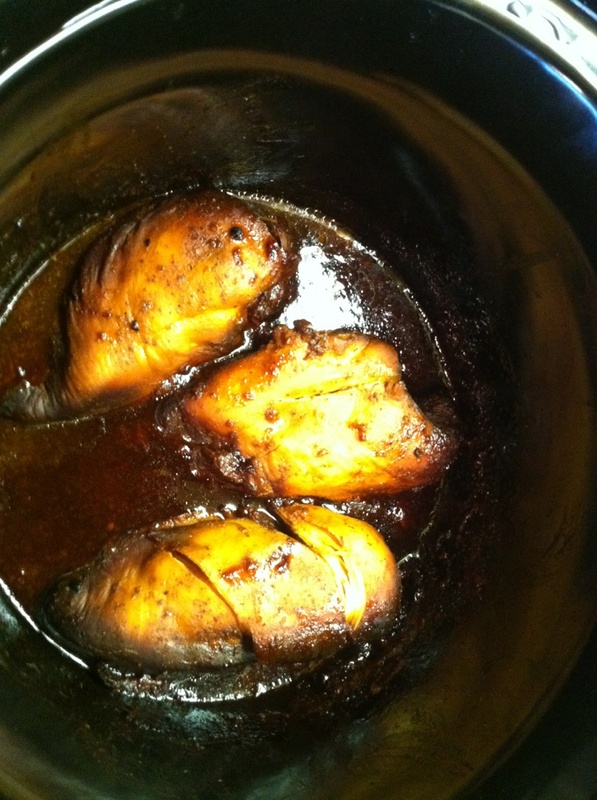 Yesterday when my husband entered our apartment and said, "something smells like it is burning," I knew right away that something went terribly wrong with my chicken cooking in the crockpot. My fear came true and yes, my marinade and chicken were completely burned. I am sure many of you are wondering how could I mess up something in the crockpot. Well here is the answer. The recipe that I found via Pinterest said to cook the chicken for 6-8 hours on high heat. Clearly this person made a typo because I think they meant to cook the chicken on low heat for 6-8 hours. This is what cooking the chicken for 5 hours on high heat looked like. Can you imagine what it would have looked like if it cooked for 8 hours! ?